I can't remember when I started designing theme parks. 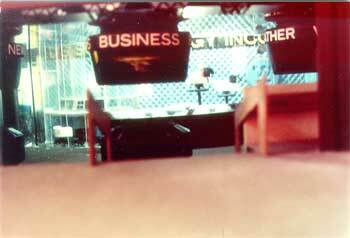 I've been designing and building models of Theme Parks all my life, except when designing film sets. I have designed several theme parks for myself and modeled some of them. I've worked on theme parks for Walt Disney Imagineering, Landmark Entertainment Group, Universal Studio Tours, Paramount Studios, and at Cinimatix. For Paramount Studios, I worked as Set Designer on Borg Encounter a Star Trek attraction for a new Space Theme Park in Germany. I used AutoCAD © Architectural Desktop. 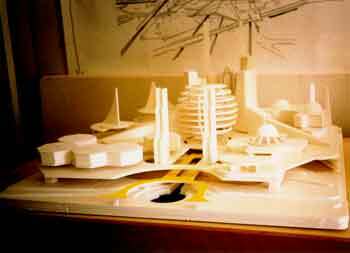 Duties for Walt Disney Imagineering included Dimensional Design and model making. I worked at the Walt Disney Imagineering model shop in Glendale. 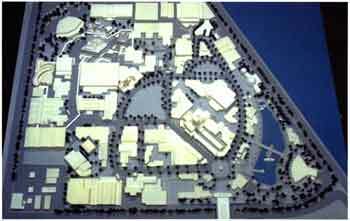 Projects included expansion to the Studio Tour in Florida, a now abandoned idea of a Studio Tour as a "Second Gate" in Japan, Euro Disney, and various other projects. I also worked for the Brubaker Group which was subcontracting work to Walt Disney Imagineering. 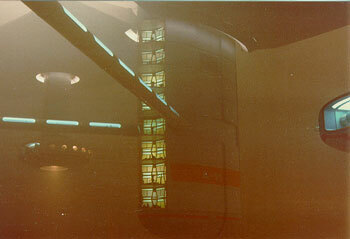 I spent a year working on Visual Effects models for films to show at the Horizon Pavilion at EPCOT. While at Landmark Entertainment Group, I worked on prototype displays for Mini Plants for a theme park for Japan. These were animated miniature fantasy manufacturing units involving animals and the like doing the work. These were for various corporate sponsors. 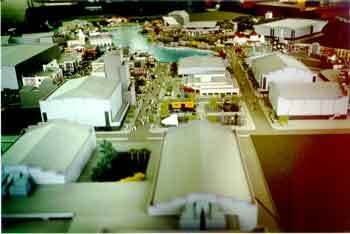 I worked building study and display models for Universal Studio Tours, Florida on three separate occasions. Twice while working for Design Models Incorporated and once while working in the Universal Studios Prop Shop. 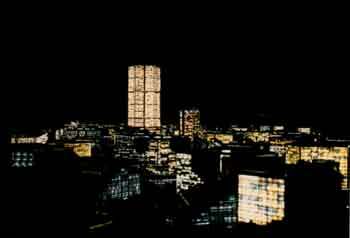 I worked for John De Cuir Jr. and his Cinimatix for three months. During this time, it seemed we were on a new project every few weeks. 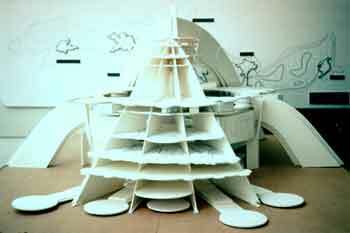 I built foam core models of a number of theme parks, a convention facility, individual theme park rides, massing models of other theme parks to use as comparison. I never understood what was going on, I think John was just selling random ideas. Every few days, I would begin something new. I also worked as Set Designer and Visual Effects Model Maker for Boss Film Corporation on video for a simulator ride called Lucky Goldstar for an Asian theme park. It was probably logical for me to transition from an interest in theme parks to film sets It was always the scenery that interested me the most. It was not the round and round and up and down that I enjoyed, it was studying the scenery. I would go to Disneyland and spend hours studying and photographing the scenery and observing the transitions form one themed area to another. This would explain my reduced interest in non-themed amusement parks. Even today, on the weekend I visit historic buildings, sites, and museums and study the details. I have a large library of reference from all areas of the world and major time periods. 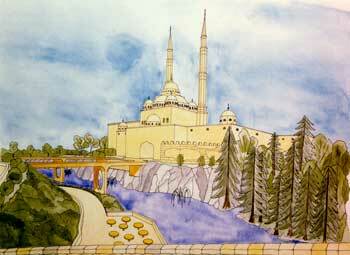 It is always helpful to study other scenery, but I like to keep grounded in reality by studying the real thing. 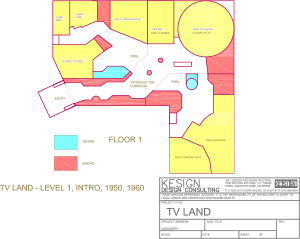 TV Land, a preliminary concept presentation in 2014. Lucy Goldstar, simulator ride. Managed laser cutting for Boss Film, 1992. Managed laser cutting for Boss Film, 1992. 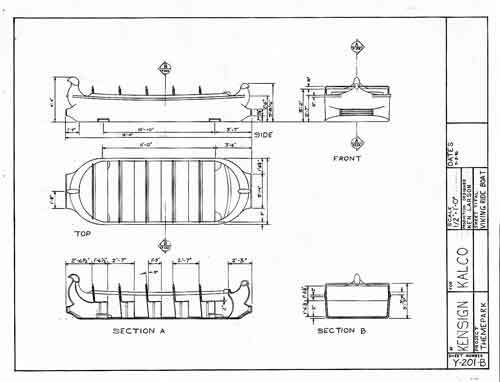 One of forty AutoCAD drawings I created to facilitate the laser cutting. Tokyo Disneyland, "Second Gate" Studio Tour. Walt Disney Imagineering, 1990. On three separate occasions, I built study models of Universal Tours, Florida. Two versions for Design Models Inc. and one model of the final while working for Universal Studios. 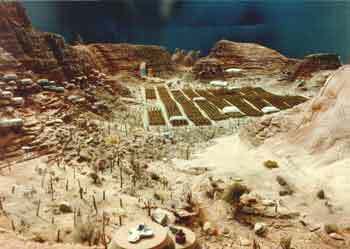 Several foam core models of theme park and other facilities for Cinimatix and John De Cuir Jr. in 1988. Neptune's Kingdom. This model is 12 inches by 18 inches in size, 1/1200 scale (100'=1"). 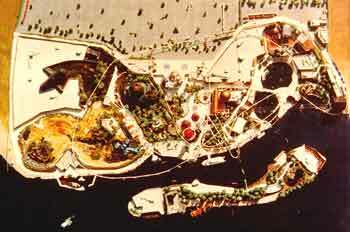 This is the first model theme park I completed and was my portfolio for my first job as a model maker.